2019 Luxury Emporio Hotels in MEXICO! 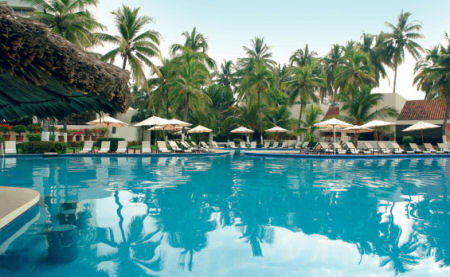 Bid Per Night and Choose Your Length of Stay at a Hotel in Acapulco or Ixtapa!! contemporary style to set the tone for ultimate enjoyment. Emporio Mazatlan has 134 comfortable guestrooms and suites, all with balconies overlooking the ocean, elegantly decorated in a modern contemporary style with tasteful finishes, and especially equipped to provide guests with an ideal resting space. Revel in the fresh and inviting surroundings of Emporio Mazatlan, the perfect Mazatlan luxury hotel for family vacations, business trips, and weekend getaways. 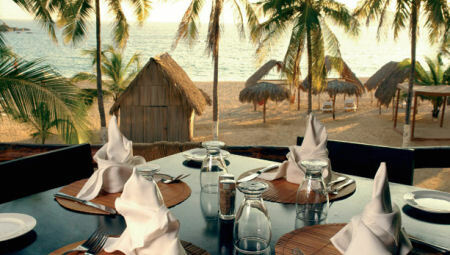 The brilliance of the hotel’s gastronomy is one of the factors that drives guests to come back. Inspired by the Mexican culinary heritage, the expert chefs assure that guests enjoy the most select flavors at these Mazatlan restaurants. 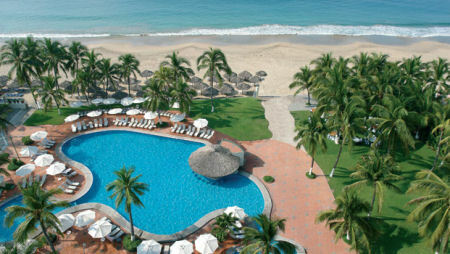 Availability at Emporio Mazatlan is based on a Single or Double Occupancy in a Superior Room Ocean View. 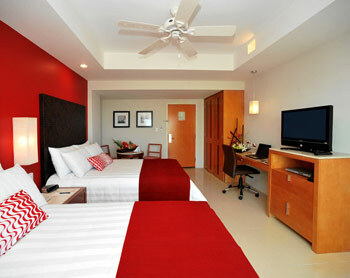 Comfortable and spacious guestroom with two double beds and, balcony with lounge chair overlooking the Ocean. All equipped with LCD flat screen TV, wireless internet connection, electronic in-room safe, alarm clock with iPod connectivity, air conditioning with climate control, telephone with voicemail, coffee-maker, ironing kit, make-up mirror, hairdryer, and welcome amenities. 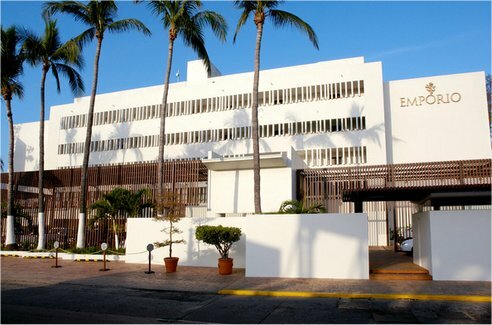 For more information about Emporio Mazatlan Hotel click here. The hotel has the largest swimming pool in the bay and offers direct access to the sea as well as completely renovated facilities that offer your and your family all the comfort and safety you could ask for during your stay. 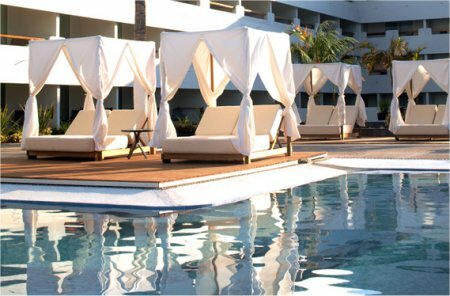 Revel in the contemporary and minimalist architectural style of Emporio Acapulco, providing exceptional oceanfront Acapulco luxury accommodation. With easy access to the main attractions in Acapulco Bay, this stunning property is a true water lover’s playground. Delight in the soft-sand beaches and impeccable service, making this seaside hotel the perfect choice for unforgettable Acapulco luxury hotel reservations. 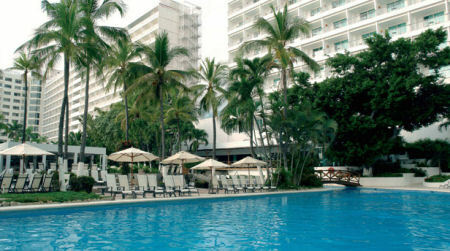 Availability at Emporio Acapulco is based on a Single or Double Occupancy in a Superior Room Ocean View. 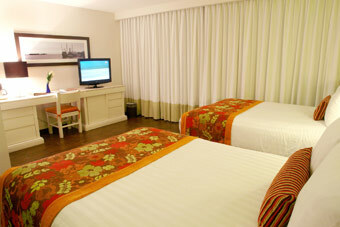 Comfortable and spacious room with one king bed or two double beds. Balcony with lounge chair and full ocean view. Each appointed with flat screen TV, wireless internet connection, electronic in-room safe, work desk, coffee-maker, minibar, air conditioning with climate control, telephone with voicemail, ironing kit, vanity mirror, hairdryer, welcome amenities. 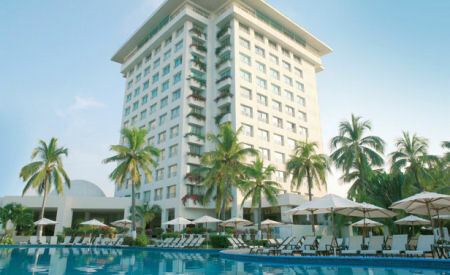 For more information about Emporio Acapulco Hotel click here. 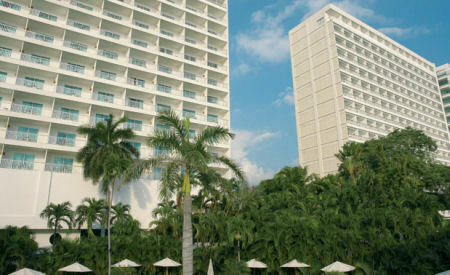 Situated on the iconic Paseo del Malecón, Emporio Veracruz overlooks a city rich with history. 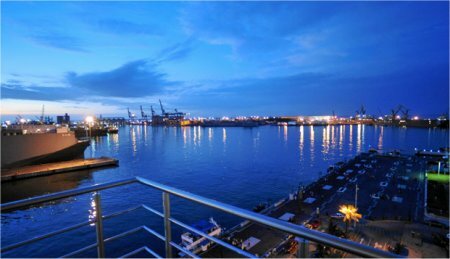 The merging of Spanish, Caribbean, and African cultures is reflected throughout this vibrant region, including at our own Veracruz luxury hotel. Our three restaurants reflect a deep, kaleidoscopic culinary heritage, while our 223 guestrooms blend colorful local spirit with sleek modern design and the latest technological touches. Cross-cultural mingling continues at our Oriental Spa, where Eastern revitalization methods combine with Western ideas of well-being, creating an exclusive menu of unique treatments and massages. Unwind with our three pools and 24-hour fitness center, or step out into the city to enjoy a dizzying array of leisure options. From cultural sites and ecotourism to recreation amid the area’s diverse terrain, guests will find a wealth of opportunity for exploration. Become acquainted with this enchanting city from Emporio Veracruz, offering an intimate, gracious alternative to typical Veracruz resorts. 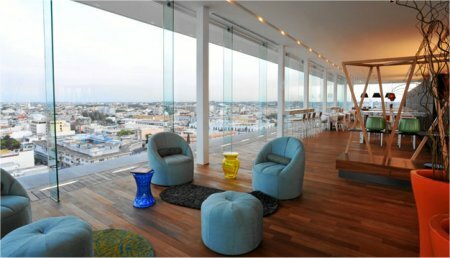 Emporio Veracruz has 223 elegant guestrooms and suites tastefully finished with simple, modern design coordinated with splashes of color and understated furnishings. Boasting luxurious accommodations, elegant architecture, and discreet anticipatory service, Emporio Veracruz is an exceptionally bright jewel among Veracruz luxury hotels. Three restaurants at Emporio Veracruz celebrate the region’s culinary heritage. Restaurante Condimento serves a Mexican and international buffet with views of the port, and also offers a select menu of specialties recommended by the chef. 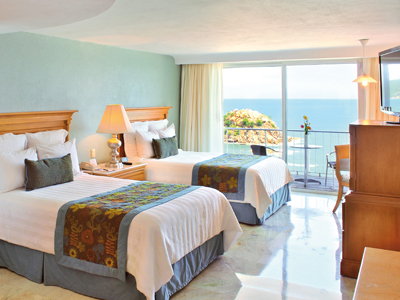 Availability at Emporio Veracruz is based on a Single or Double Occupancy in a Superior Room. 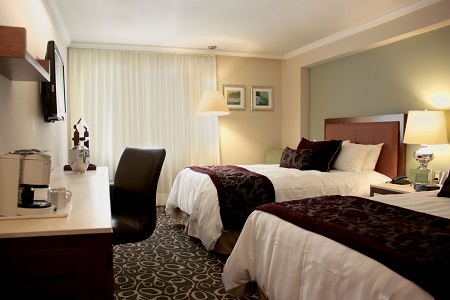 Comfortable and spacious rooms with one king bed or two double beds. All equipped with LCD flat screen TV, DVD system, high-speed internet access, electronic in-room safe, alarm clock with iPod connectivity, Coffee-maker, minibar, air conditioning with climate control, telephone with voicemail, ironing kit, vanity mirror, hairdryer, welcome amenities. 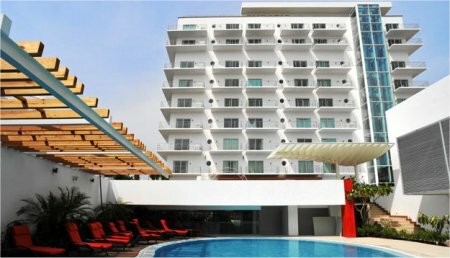 For more information about Emporio Veracruz Hotel click here. Step into a world where history and culture blend together at Emporio Zacatecas, a five-star Mexico hotel recognized by UNESCO as a World Heritage Site. 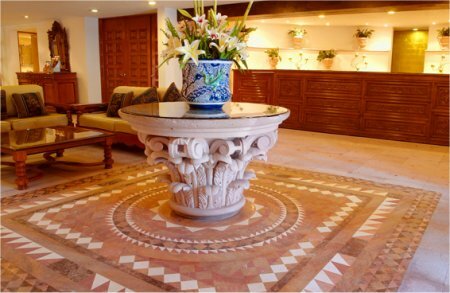 You will experience the Baroque architecture the minute you step into the lobby, adorned with carved quarry stone amidst a warm and peaceful setting. The ambiance continues throughout this Zacatecas hotel, present in everything from the guestrooms and suites to the restaurant and bar. And with modern amenities such as high-speed Internet access, a 24-hour business center, and a fully equipped gymnasium, rest assured that everything you need for a pleasant stay is right at your fingertips. The hotel has 113 spacious guestrooms and suites equipped with all the services and comforts of modern life in a setting steeped in history and tradition. With an optimal location near several museums, attractions, art galleries, and more, Emporio Zacatecas is the ideal five-star Mexico hotel to base your travels. Los Canteros Bar: Take pleasure in a variety of beverages as well as an excellent snack menu and the ambiance of live music during the weekends. Availability at Emporio Zacatecas is based on a Single or Double Occupancy in a Superior Room. Spacious and comfortable room, with one king bed or two double beds, equipped with wireless internet connection, Cable TV, DVD system, electronic safe deposit box, telephone with voicemail, heating, coffeemaker, ironing kit, hairdryer, make-up mirror and welcome amenities. 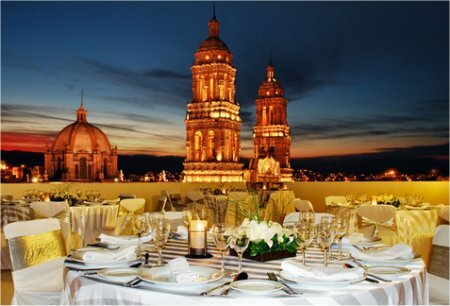 For more information about Emporio Zacatecas Hotel click here. Relax and enjoy the sea in complete privacy at Emporio Ixtapa – a captivating Ixtapa luxury hotel set along the white-sand shores of the Pacific Ocean. Nestled in the heart of Bahia Del Palmar, this exclusive property boasts contemporary Mexican-style architecture, with stunning views of the ocean. Delight in the modern amenities and features of your beautifully appointed Ixtapa luxury accommodation, ensuring a truly restful stay. The hotel offers 219 comfortable rooms and suites furnished in a contemporary style, and outfitted with modern amenities. Attractive recreations provide by the hotel or can be found nearby, extra charge may apply in some cases: Surfing, boogie boarding, waterskiing, jet-ski, swimming, motorboats, volleyball, windsurfing, scooters/motorbikes, aerobics, ping-pong , parachuting, golf, horse riding, snorkeling, fishing, sailing, deep-sea diving, dolphinarium less than a mile away, special discount in golf, bicycle path. 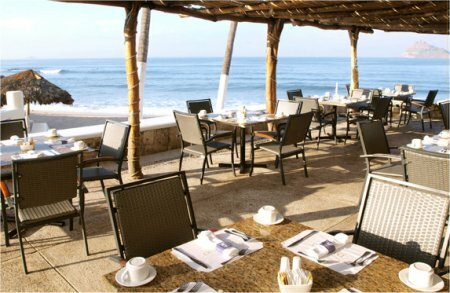 Choose from a variety of delectable dining venues offered at Emporio Ixtapa, including: Condimento Restaurant, Arrecife Restaurant, Snack Pool & Bar, and the Sunset Grill Restaurant. 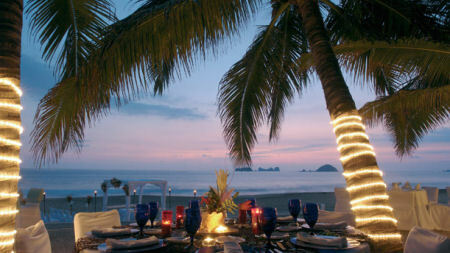 For more information about Emporio Ixtapa Hotel click here. Offer is based on single or double occupancy. The minimum bid is hidden for this auction until you are logged in.